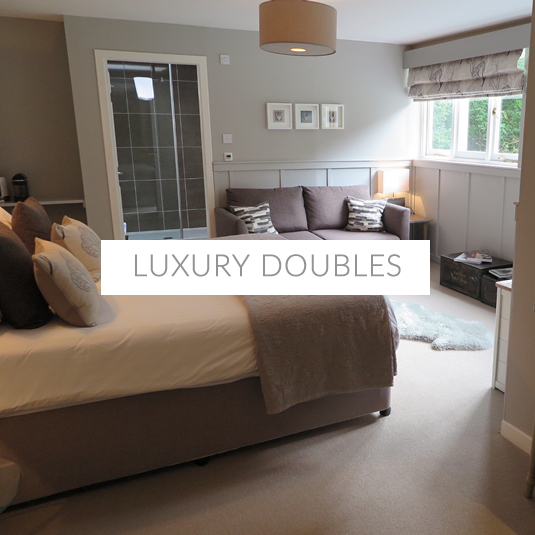 Tucked away in this quiet, leafy little conservation village, in the very heart of Highland Perthshire, an enchanting experience awaits you. This is truly a breathtakingly special location. If it’s real peace and quiet, luxurious seclusion and total relaxation you seek, then Riverwood may well just be the place for you. 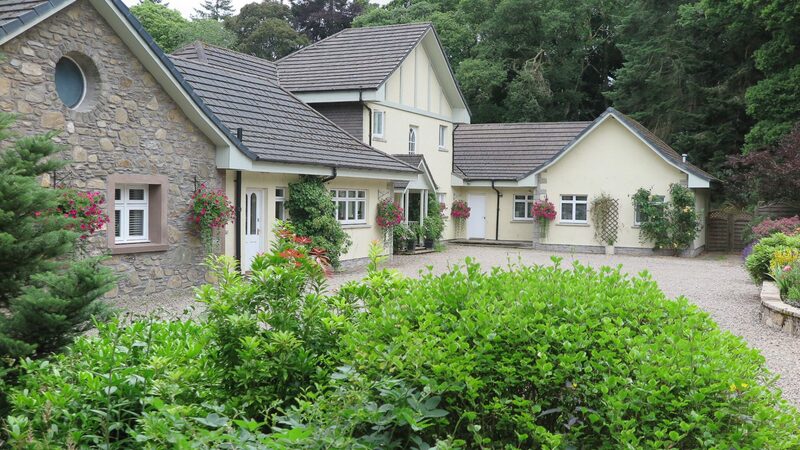 A discreet entrance with a sweeping driveway leads into a secluded 4 acres of wooded and lawned grounds overlooking the majestic River Tay, which forms part of our natural garden. 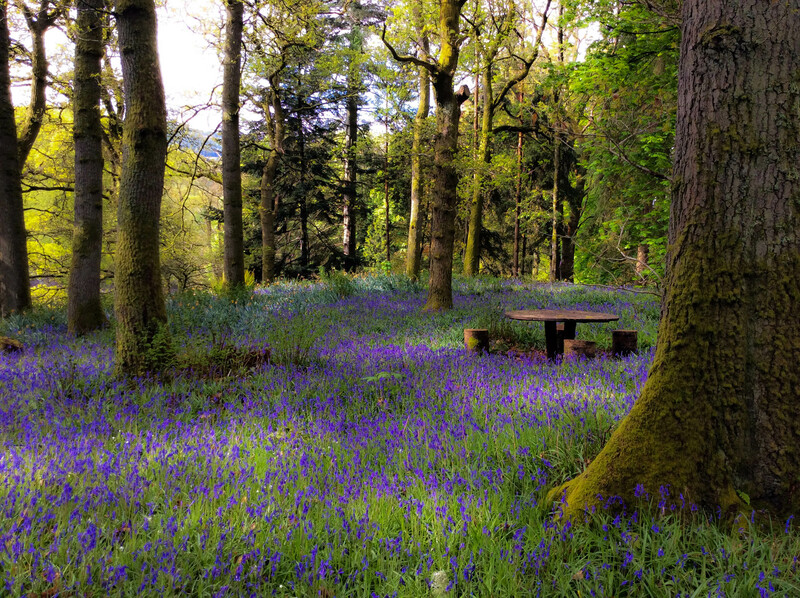 The woodlands have an abundance of daffodils, bluebells and wild garlic in season and there are numerous oak trees giving a canopy for a peaceful retreat which gives home to a whole range of wildlife. 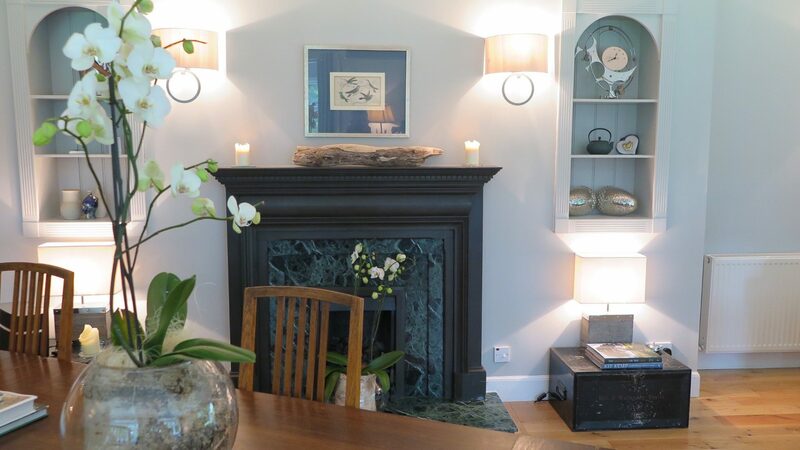 Riverwood Strathtay, a contemporary house in the Arts and Crafts style, is a luxury bed and breakfast. 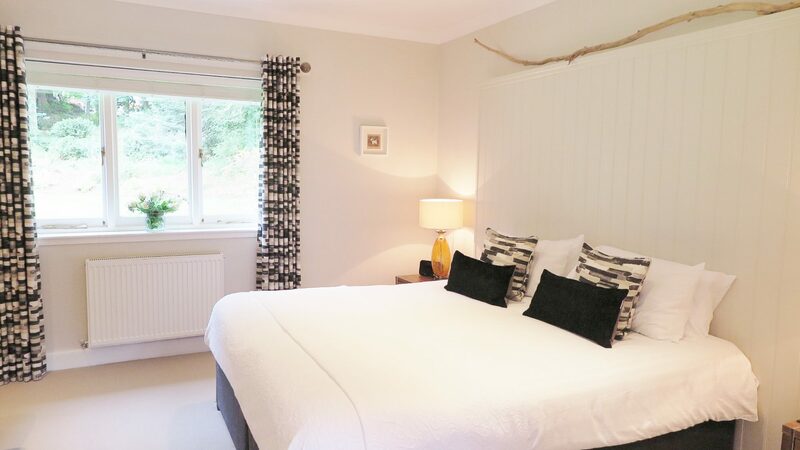 It is positioned to take advantage of the superb south-facing views up and down the Tay valley. 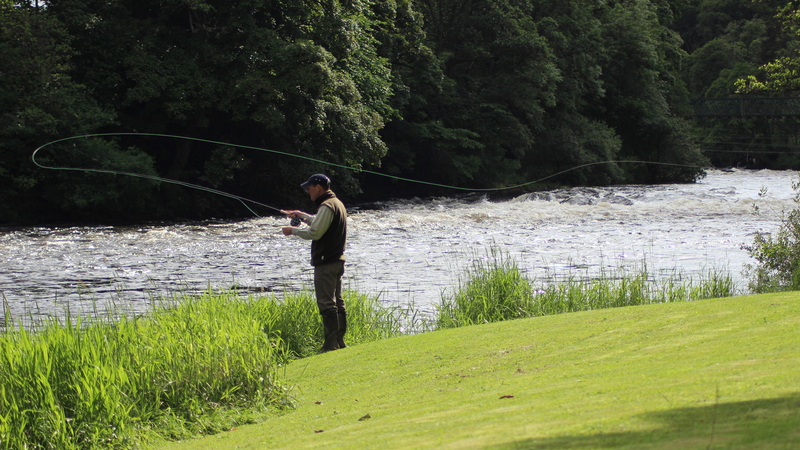 Free for sporting enthusiasts - brown trout fly fishing on the River Tay, and complimentary golf at Strathtay Golf Club. Both within 2 minutes walk from your room! 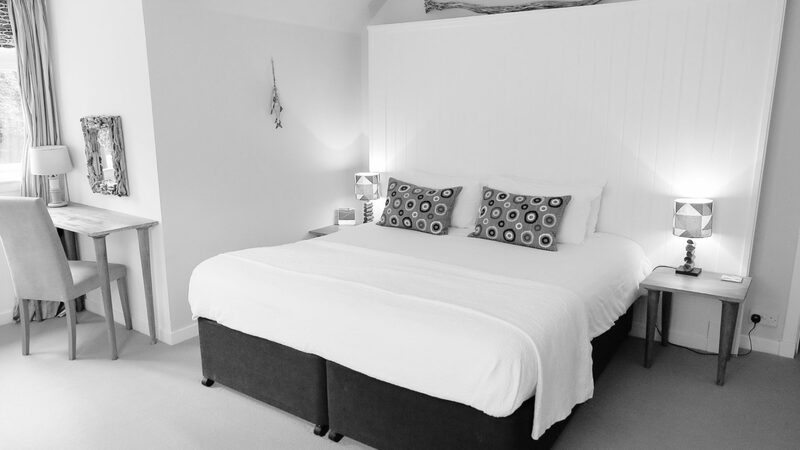 Supremely spacious ground floor rooms offer a high degree of privacy and comfort. 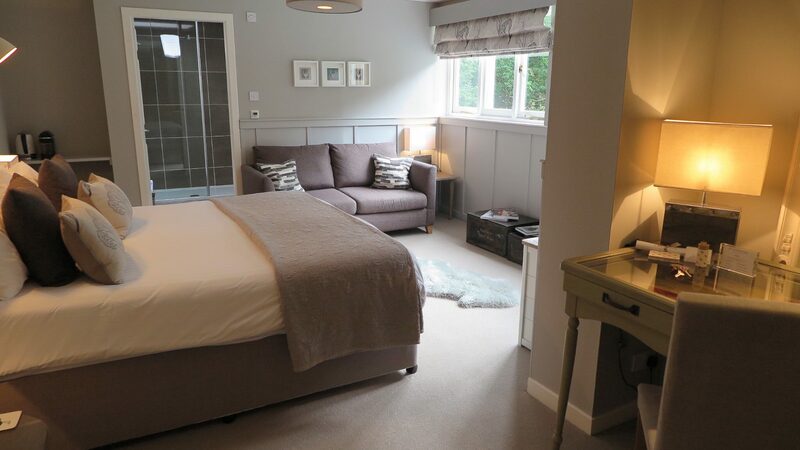 Overlooking the River Tay and ideal for longer stays. 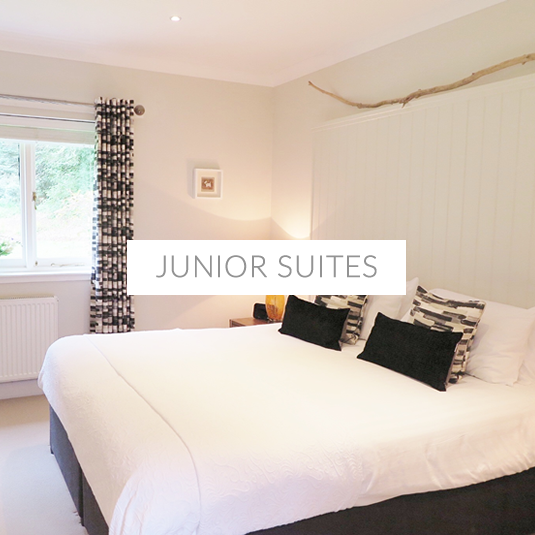 Spacious ground floor rooms in a quiet spot with garden views, private entrance and patio. 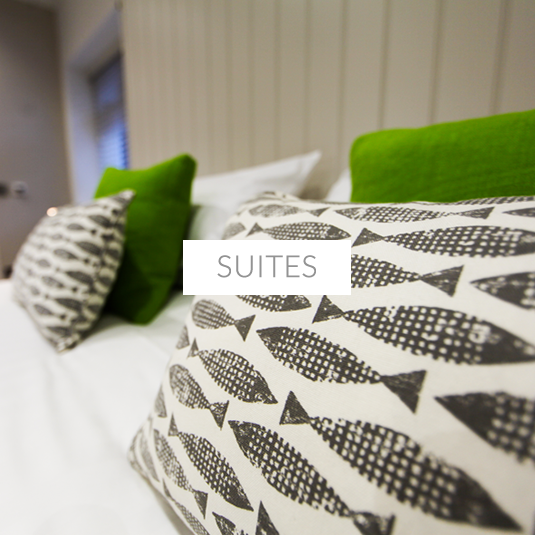 Spacious first floor rooms with views of the River Tay. 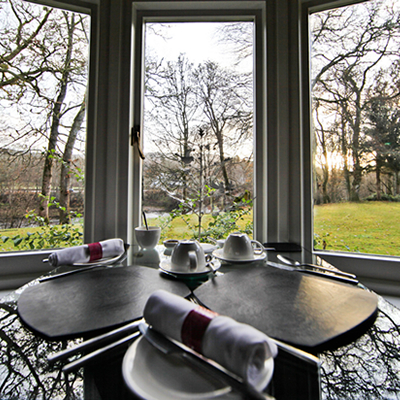 Enjoy your breakfast with a view of the river Tay. Our incredibly spacious dining room has individual discreetly positioned tables which overlook the river. Take advantage of the best views and enjoy a wildlife display as the varied species come to enjoy a nutfest while they watch over you enjoying your own Riverwood specialities. 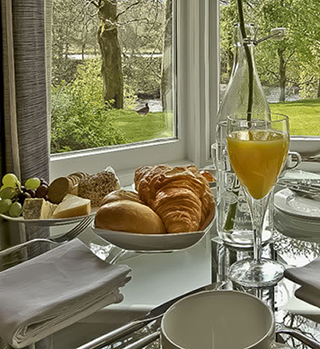 Scottish as in breakfast at Riverwood Strathtay is a highlight – an imaginative feast of local produce, with varied menu, especially tasty food served hot and fresh, and catering for all dietary tastes. Aside from the traditional Scottish dish using the very best Perthshire produce, our specialities include our fresh fruit salad, our famed Potato Rosti, Dunkeld Smoked Salmon and scrambled eggs, home-made pancakes fresh from the griddle, deliciously light French toast served with proper crispy bacon and the introduction of one or two other surprises.All of these sumptious treats are accompanied by speciality teas and Highland Coffee grown in Kenya yet roasted in Perthshire. For those who really do wish to truly relax, and would prefer the privacy of in-room dining, the Continental option served to your room at a time of your choice, is a veritable mini-feast. 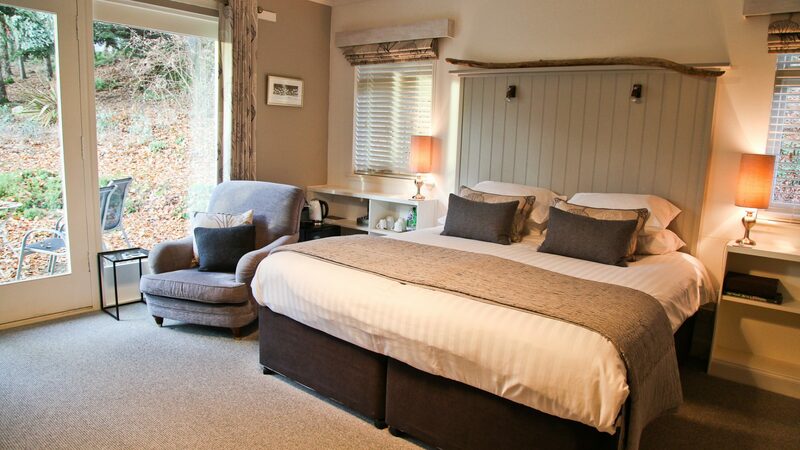 Why not slip into something more comfortable, relax and dine in? Using the finest of local produce, this is tasty home cooking at its very best. We go out of our way to select the very finest produce, always focus on the very highest quality local supply and make sure that it is all cooked to perfection and presented to your table just the way you like it. It’s made all the more enjoyable by the candlelit riverside view. On selected evenings we provide an exquisite 3-course meals for two with tea/coffee/mints: £60, bookable in advance. If desired, please bring your own bottle. Lighter meal options may be available upon request. To start with, maybe you’d like to slow things down, so if this is the case then you don’t need to venture too far. 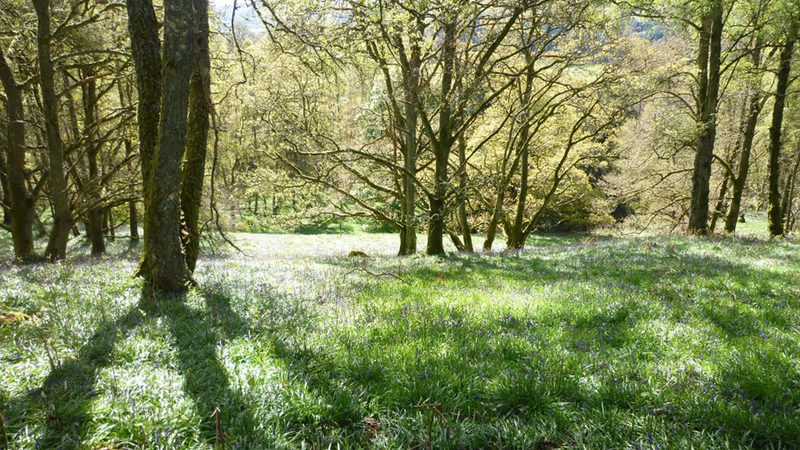 Have a meander around our mature garden grounds – you can wander up to the woodland (In late Spring wild garlic and bluebells abound), or down to the River Tay itself. 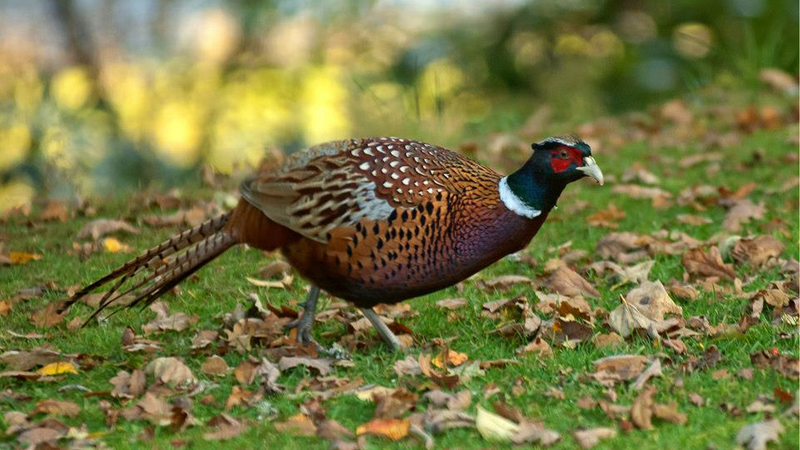 Be prepared to enjoy an abundance of wildlife right on our doorstep. Take your time and enjoy! Here we have a golf course with complimentary golf exclusively for our guests and for the fly fisherman you can come prepared to enjoy free brown trout fishing on our own riverside bank. Within a few minutes’ walk from Riverwood you can explore our twin villages of Strathtay and Grandtully. We have a well-stocked village shop and across the river they serve a delightful coffee in the Chocolate Lounge at Iain Burnett, the award-winning Highland Chocolatier. Why not partake in a refreshment at the Inn on the Tay?